Seeking a residential Electrician in Cranbourne? Are you facing electrical fluctuations and variations? Do you think it is a more deeper and major electrical cabling or wiring problem? Have you just moved into your new house in the Cranbourne neighbourhood? And do you require a competent electrician Cranbourne to install all your home appliances and equipments and undertake an overall survey of the existing electrical installations, fixtures and appliances in your residence? Off late have you been noticing electrical tripping and outages in your home in Cranbourne? Then you would need an electrician’s expertise and an overall electrical service to take care of the problem for you. Any work that entails electrical services and an emergency electrician’s requirement especially in the commercial, domestic segment, then you should just reach out to the electrical experts, Your Electrical. 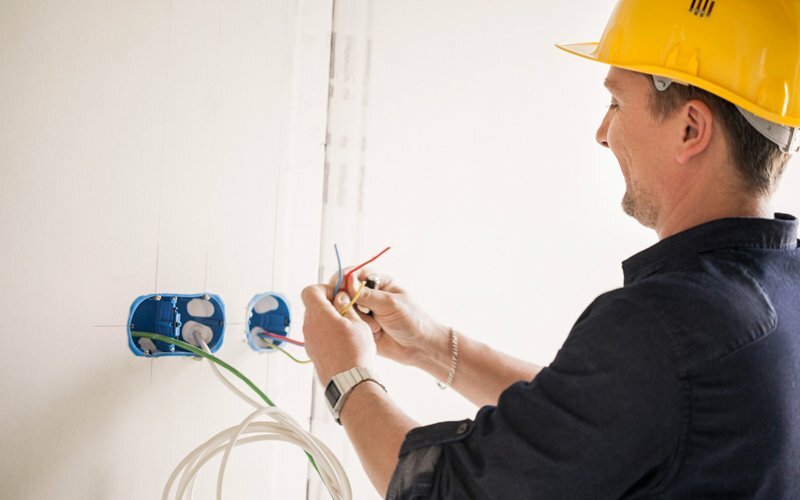 We offer exemplary services that are aided by an experienced team of residential or industrial electricians who have the knowledge and knowhow and can handle any sort of electrical repair, installations and maintenance work in the Cranbourne and nearby vicinities. In a nutshell, what is the service that our Industrial electrician Cranbourne would extend? Do you have a specific service in mind that only a capable electrician could handle? Well, in the Cranbourne areas, our electrical experts do offer a broad spectrum range of electrical services like laying telephone and internet cables, installing light systems and fittings and also the power points related to that. We do also offer a service wherein we undertake a detailed electrical safety inspection and after thorough scrutiny we do submit a report that would carry suggestions, observations and rectifications or replacements, if any. Installing safety switches, electrical fault finding and repairs, cabling service, fitting light fixtures in your house exterior and interior are some of our other related services. So your quest for a licensed Electrical Contractors or an electrician Cranbourne ends here at Your Electrical, your dependable, neighbourhood electrician. For all your domestic electrical services needs, you can touch base with our electricians who extend services in the Cranbourne area via 0417 374 721 or you can even drop a line to us at iamyourelectrician@gmail.com. Industrial Electrical services in Cranbourne are fast, efficient & on time. The professional electrician is highly qualified and skillful to deliver the ultimate solution for your Electrical Contractors in Cranbourne. Electrical services Cranbourne the fantastic electricians have built a reputation while operating with deep understanding in electrical industry. If you are looking for dependable and professional electrical services, ceiling fan installation, surge protection, electrician in Cranbourne has the training and expertise behind him to meet your needs. Electrical services in Cranbourne strive to comply with quality workmanship at competitive prices. For your electrical needs no matter big or small, contact Your Residential Electrician in Cranbourne.